We’ve just released our 2018 Recap episode with our discussion of our favorite films of 2018. Now we’d like for you to share yours. We’d love for you to fill out your Top 10 in the form below. As a token of our appreciation (well, as a bribe), we’ll randomly select one person who submits their list and gift them the digital download of the film of their choice on the platform of their choice. Your first name or nickname is good enough. We'll need this to contact you if we randomly select your submission. We see a lot of films, but we can't see everything. If there's something we missed that you'd like to hear a review of, enter it below and we just might do a listener requested review. Thanks for sharing your Top 10s with us and thanks for listening to the podcast! We’ll keep this submission form up for a few more episodes and reach out to you if you were chosen to win the digital download of your choice. 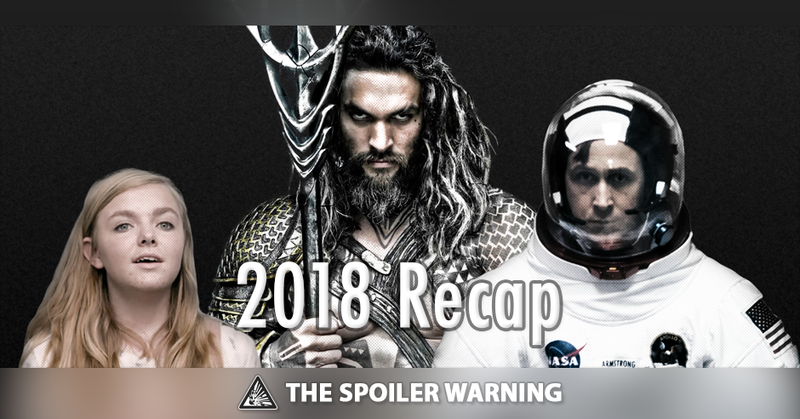 Each week Christopher Schnese, Carson Patrick, and Stephen Miller dive in, debate, discuss, and argue over the latest film releases coming to a theater near you.